It’s not that long before Eddie the Eagle flies into UK cinemas. With that, we have the brand new poster for the film. It shows the rigorous training that Eddie went through. A somewhat non-orthodox way as well. 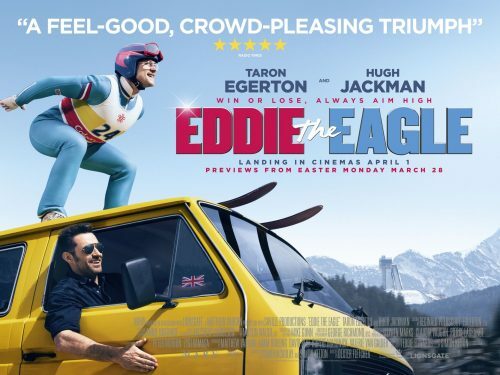 Eddie the Eagle follows the realisation of the childhood dream of Michael Edwards (a.k.a Eddie), and his unflinching determination to become Great Britain’s first Olympic ski-jumper. Reluctantly aided by former ski-jumper Bronson Peary as his coach, Eddie is unwavering in his quest to reach the 1988 Calgary Winter Games. Eddie the Eagle is an uplifting, inspirational story that celebrates human spirit, passion, and one man’s refusal to accept defeat.